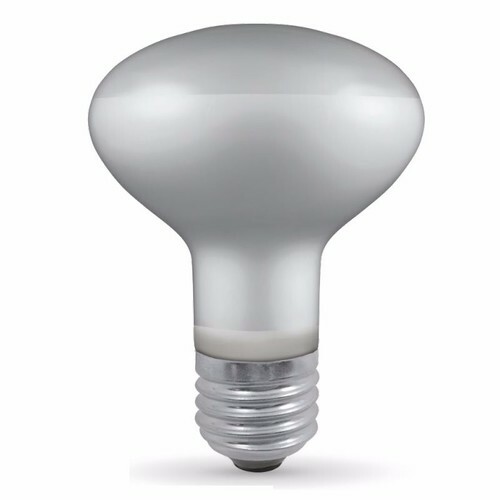 These R80 60W incandescent bulbs from Crompton are ideal for indoor and outdoor rooms where maximum light is required, and have a diffusing finish in a 2700°K extra-warm white for a pleasant warm lighting effect. These professional range reflector bulbs have been constructed from high-quality materials, feature full dimming support, are designed with extra-long filaments to resist vibration, and are internally fused for safety. Also ideal for uses as stage or showroom display lights, these crompton lamps are long lasting (up to 1000 hours or 4000 switch cycles) and fit easily into any ES lamp fitting in your home or business. Very helpful on phone and bulbs arrived when anticipated. Three went into immediate use and are still going (10 days later). Excellent service - thanks. I don't usually write reviews, but due to the excellent service I received I felt it only right to acknowledge this here. 1st Class service and support so wouldn't hesitate coming back to this company again - hopefully after the 2000 hours are up though!